LA QUINTA, CA: Jason Dufner, in addition to defending his CareerBuilder Challenge title this year, will also be interacting with fans ahead of the event. The Greater Coachella Valley Chamber of Commerce will be hosting their Annual CareerBuilder Challenge Kick-Off Event & Mixer on January 18th. The defending champion has confirmed he will speak at the event. The fabled golf tournament, with roots that go as far back as 1960, is one of the signature events in the Coachella Valley. The unique format of the tournament, pairing PGA TOUR pros with a different amateur partner each day, has become a fan favorite on the tour offering a rare opportunity to both star gaze and watch great golf. 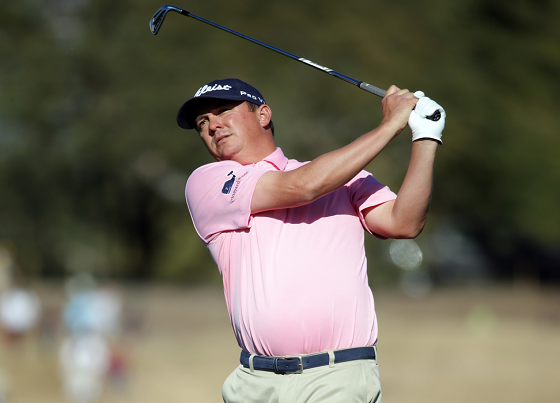 This year the event has drawn some of the best golfers in the world including Dufner, World No. 8 and 2014 tournament champion Patrick Reed, fellow victorious 2016 United States Ryder Cup teammate and two-time major champion Zach Johnson, and 2010 and 2015 tournament winner Bill Haas. The Greater Coachella Valley Chamber of Commerce has partnered with the City of La Quinta to celebrate the start of the tournament, hosting the CareerBuilder Challenge Kick-Off Event & Mixer at the La Quinta Country Club. The event is open to the public and will feature hors d’oeuvres, refreshments and entertainment. A cash bar with Happy Hour pricing will also be available. The CareerBuilder Challenge Kick-Off Event & Mixer will be January 18th beginning at 5:00 PM. The La Quinta Country Club is located at 77750 Avenue 50, in La Quinta. Admission to the event is $20 per person. Event features include: champagne welcome, putting green, photo booth, raffle, happy hour drink specials, appetizers and more! Tickets may be purchased in advance online at evenbrite.com, or by calling the Greater Coachella Valley Chamber of Commerce at 760-347-0676.